Days after Lebanon was ready to sue an American TV series for an unfair portrayal of its capital city, a car bomb exploded and demonstrations over took the city leading to a drop in tourism that the country badly wanted to avoid. A car bomb exploded in the Achrafieh district of Beirut on Friday, killing eight people, including a senior intelligence official, prompting violent protests this weekend in Beirut, Tripoli and Sidon. The updated travel advisory will lead to a drop in tourism in Lebanon. Photo by Francisco Antunes. 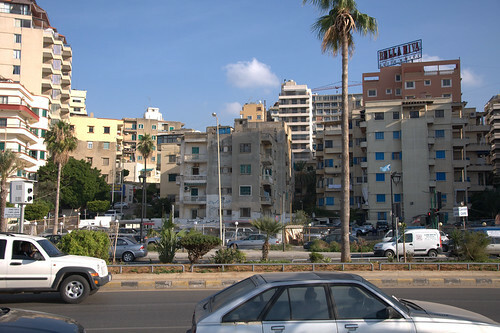 The Foreign Office advised all British nationals currently in Beirut to stay indoors, and warned that a number of roads, including the airport highway, have been blocked by demonstrators. “You should keep yourself informed of developments by keeping abreast of local security advice, media reports and travel advice,” it said. “There have also been reports of gunfire and sporadic violence breaking out across the country. It adds that “there is a potential for an upsurge in violence”. The updated advice means that British travellers due to visit the country with a tour operator will be able to cancel or rearrange their trip free of charge. A number of firms, including Abercrombie & Kent, Steppes Travel and Cox and Kings, had offered itineraries in Lebanon. The move will come as a blow to Lebanon’s tourism industry. The country has spent a large amount of money attempting to revive its appeal to foreign visitors following decades of civil war and unrest. Attractions include the cities of Tripoli, Tyre, and Sidon, an ancient port, the UNESCO World Heritage Site of Byblos, and the Roman temples of Baalbeck.